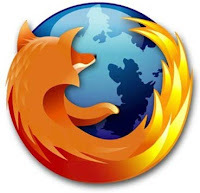 Mozilla leaked the 7.0 version of its famous internet navigator software Firefox with lot of improvement like font rendering and security fixes , you can give it a try right now with lot of languages , just download bellow . Mozilla's Firefox version number inflation drive continues as it plays catch up with Google Chrome 13 and Internet Explorer 9. Released today, Firefox 6 packs small number of new features, improved font rendering, along with the usual load of security and bug fixes. To begin with, the navigation toolbar got a couple of updates: the address bar now highlights the domain name of the loaded webpage.